Attorneys are often consulted to assist their clients in preparing their planning documents (wills, powers of attorney, trusts, health care directives). 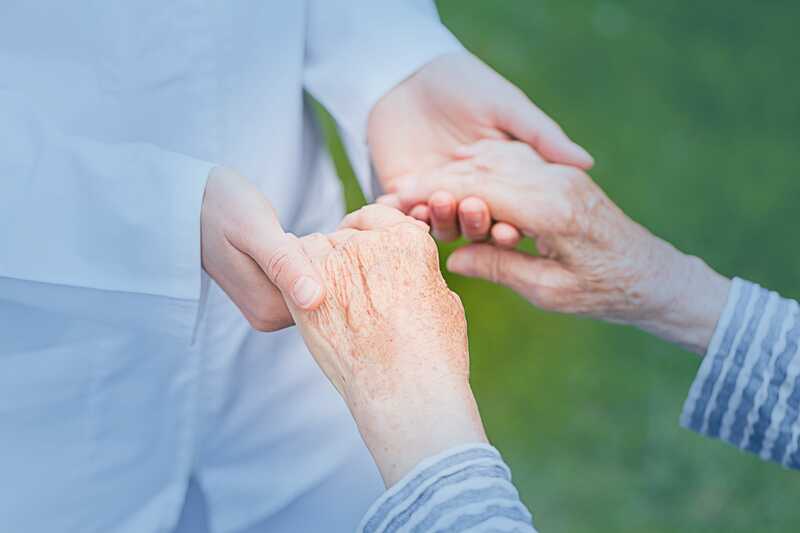 Special considerations apply to seniors, persons with special needs and anyone currently receiving means-tested benefits or who is likely to require benefits in the future. Advising your clients on how to plan for their future must consider the impact today’s planning may have on their ability to remain independent in the community and governmental benefits. Tools for maintaining your clients’ independence will be discussed, including having appropriate fiduciaries named in necessary planning documents, the pooled trusts to shelter income and asset overage if Medicaid is needed, and benefits available. In this program, attorney Fern Finkel provides an overview of planning directives. Options will be presented and sample forms will be provided. This CLE included excellent materials and I enjoyed the instructor's method. The lawyer presentation was the best I have ever heard. She was both learned and experienced. This was the best course to date. We need to see more of this speaker. She is a wealth of knowledge. I liked the conversational style of the lecturer. Was helpful information.. Many fine points were covered. Amazing program. Best so far! This course and instructor were great for introductory trust, wills and estate education. Good presentation. Will listen to part two for sure. Fabulous. Not too fast or slow. Very substantive and practical. Very useful information regarding advanced directives and health care proxies. This was a very informative class with excellent suggestions. Well presented and extremely clear. Good informative program! I am an aging lawyer and I will make use of the presenter's advice. This speaker and course was perhaps the very best I have enjoyed in all my years doing CLE with Lawline. Personable, clear, CARING, detailed (yet not burdensome) - she was terrific ! excellent - so much so that during the course of this CLE i actually rang my own lawyer and set up an appointment to update my 2012 vwill, health care proxy , dnr, etc to make sure the docs are aligned w/my wishes. Excellent presentation and excellent guidance w/r/t teens being required to designate. An outstanding on topic discussion. I will repeat this more than once because it is that important to my practice and my family. Very detailed, give her a part 2 to this. The section on disability trusts was very good. Topics covered were well delivered and clearly explained with appropriate examples. After more than 30 years of practice, this old dog learned some new tricks. One of the very best lectures I have heard. Excellent program. Great speaker. Very pleasant to listen to. The instructor is very knowledgeable but able to speak to those who are laymen. This was a very informative and helpful course by Ms. Finkel. In addition to the technical information, she provided good practical advice for obtaining information from clients and stressed the importance of taking time to discover the client's wishes. She needs to be able to do several courses so that she can expound fully on all aspects of the process on an in-depth basis. This was very informative and practical!! Excellent presentation: caring and practical. This was an incredibly effective course and offered many great considerations. Thank you. Attorney Finkle was incredibly organized and articulate on this topic...the best I have seen on your site. Excellent program. Great, clear explanations and examples. This was a useful program. Presenter was clear and easy to understand. Nice smooth presentation. Very Informative. Very comprehensive & enlightening in a well organized presentation. Very informative contents. The competence, sincerity and client/ social concerns of the presenter shine through..
Great material, very clear presentation! Ms. Finkel is so knowledgeable about the subject matter. I felt that the area of trusts demands more time to adequately address. I would highly recommend this course and the instructor. It was not about "aging," merely about estate planning -- upon which it was quite thorough and good. Absolutely thorough. Full of good info. This was an excellent presentation. The speaker was informative, clear and interesting to listen too. Really excellent. Information that I haven’t seen covered this well. Looking forward to the second half. The presenter did a great job instructing on the law and providing practical guidance. Excellent resource, looking forward to part 2! So much material, the Presenter had only half of the time to get through probably 40% of what she intended. Excellent speaker- unique ability to explain difficult concepts in understandable terms. A lot of information in a short (relatively) period of time. Looking forward to Part 2. Great overview by a very experienced attorney. Very good information for attorneys who do not practice in Wills and Estate law but still get those questions asked of them by relatives and friends. This information informs us trial attorneys to refer our friends and relatives to an attorney who does this type of law. Thanks! I do probate and enjoyed this class. Another session needed with more time for important topics. Presenter was excellent. Great basic review! I usually just suffer thru CLE, but not this one. Thanks! Great to hear from someone who cares about their clients. Outstanding. Should be another 30 minutes as she has so much to say. I signed the affirmation above, even though I definitely have been listening to a lot of these kinds of classes, but this was more comprehensive than any of the other estate planning/wills and trusts CLE courses I have taken, I think. Very knowledgeable speaker. There were a lot of good reminders within. Presenter did a nice job. This was very well presented. Excellent. Thank you for including supplementary material! will look for more courses with her as presenter. Excellent presentation and full of information. Thank you! She was obviously very knowledgeable. Her level of expertise was impressive. The presentation went very very slowly. Great presentation, informative even for those who do not practice in this area of the law. This speaker was my favorite so far. Great topic, too. Excellent, organized and extremely well informed and focused lecturer. Very good speaker & information. The presenter was clear, well-organized and effective. I was not able to get through the written materials but wish to go back through them. Thank you. Excellent! Great tips on doing the right thing for clients. Excellent. 5 in every category. Written materials excellent. Presenter was both an effective speaker and knowledgeable about topic. Really good, and I am a seasoned estate planning. Refreshes the basics! Excellent. I need to review my own personal material, not just for clients. VERY useful. Outstanding presentation with great, practical information. She did a wonderful job but I do hope in the future she could cover all the slides. Really well done. Very comprehensive. Excellent and comprehensive presentation, with professional as well as personal relevance! Speaker was terrific. Concise and offered helpful information. Fern Finkel is the very best speaker I have ever heard on this subject. Great speaker and one of the best course I have taken. Thanks! This was outstanding. Best I have seen so far. The course and the instructor were some of the best I have taken on LawLine. Fern Finkel is informative and pleasant to listen to. I look forward to any of her other courses. The speaker provided a lot of good information and practical tips. The best speaker hands down. not an easy topic but presented very succinctly. This has to be one of the top LawLine lectures that I have viewed. Ms. Finkel clearly has a tremendous working knowledge of the subject area. Furhter, her zest for truly meeting her clients needs is also apparent. I wish she was what most lay people thought of when they think of our profession. If I had friends or family in NY...I would certainly be referring them to her for estate plans. Invaluable! Lots of great advice for serving clients and even ourselves. Very timely topic and the coverage was from a seemingly caring practitioner. Outstanding. Fine job. Thank you very much.